Drake’s Views Streamed 1 Billion Times on AppleHe’s got a plaque to prove it, too. Drake Spotted in Houston-Area Cheesecake FactoryDrake, it seems, has returned to his old stomping grounds in more ways than one. Drake’s Views Has Topped the Billboard Chart for 9 Consecutive WeeksThe view from Billboard’s No. 1 spot is all Drake. The Strangest, and Loveliest, Views in New YorkThat are not necessarily on the 90th floor: gravestones, a trio of camels, and Meg Ryan. 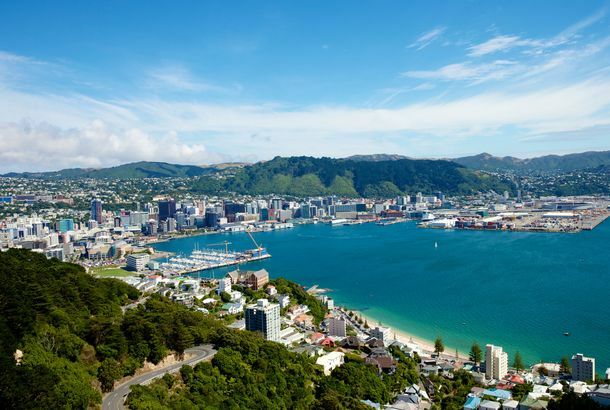 Chill Kiwi Study Finds That ‘Blue Spaces’ Make City Life More BearableWater is magic. Drake Enjoys Views at the Top of the Billboard 200The album had a platinum opening week and broke Stateside streaming records. Norm Kelly on Drake, Toronto, and Twitter FameThe city councillor — and Canada’s favorite Twitter troll — on his incredible year. While His Peers Took Chances, Drake Doubled Down on DrakeViews is Drake, trying to squeeze every drop out of his 20s, fully in denial that he’s about to turn 30, which is old. Album Review: Heartbreak Drake Returns on ViewsHe’s lonely out in Calabasas, and yearning for the comfort of familiar faces. Drake Says Views Sold 620,000 Copies OvernightBut that might be a bit misleading. Cheesecake Factory Responded to Drake Shout-outWe made a better one. Breaking Down Every Song on Drake’s New Album, ViewsDrake and Rihanna made another Song of Summer. Drake’s Views Is Making You Feel Feelings, But It’s Going to Be Okay Just missing exes you don’t even have. It’s fine. Drake’s Views Is Available on Apple Music, iTunesThe rapper had a global-listening party Thursday night, via OVO Sound Radio. Drake Reveals Views Tracklist, Maybe New TitleTwenty songs indeed. Drake Becomes Thrill-Seeker on More Album CoversViews From the Internet. Yamashiro Starts a Farmers MarketHollywood gets a farmers market with the city’s best views. Which SoCal eateries have the best vistas?Who has the best views in SoCal? OpenTable readers have an idea. Cité ViewsOpenTable names Cité one of the 50 restaurants with the best views in the country.